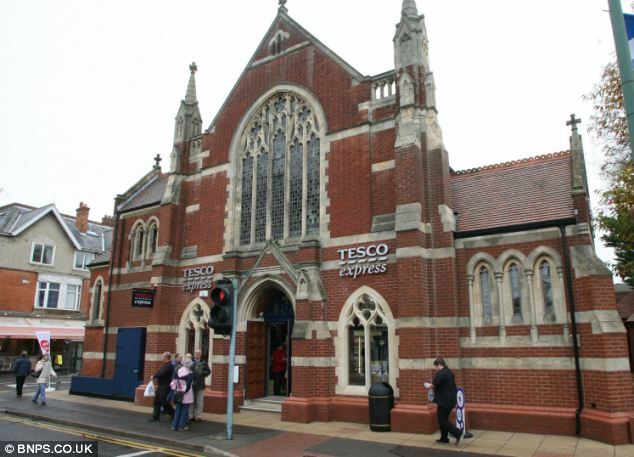 St. Tesco's: Yes, this was a church building. The former Westbourne Methodist Church in Bournemouth is now a supermarket. About 5 to 10 percent of adults attended church each week, most of them over 50 years old. That’s still the general situation, both in Britain and in Western Europe, although we can see some pockets of growth among younger adults. The Pentecostal-charismatic groups and congregations have made a strong impact, partly due to the lively worship, partly due to the sense of renewal, partly due to immigration. House churches mushroomed, and the charismatic movement was felt in virtually every church group, including Anglican and Catholic. Immigration also changed the country’s general religious makeup. By 1985 more Muslims than Methodists lived in England. No Christian group could be pegged to a particular political philosophy or party, at least not accurately. Even the institutional Church of England had already turned from being “the Tory Party at prayer” to being a frequent critic of political Conservativism. Terry Wynn and I met in 1983, thanks to a mutual friend, and we’ve been friends ever since. He worked in the shipbuilding industry, but by the time we got acquainted he was a leader in the Labour Party and could reckon national party leaders among his friends. (He caught me off guard one day when he casually referred to Neil–as in Neill Kinnock, the Labour Party leader.) He was later elected as the Member of the European Parliament for our region, serving there for 17 years until he retired in 2006. So last week, as I thought about our time in England, I sent him an email, asking him to reflect on politics and faith, looking back to when we lived there, back when Margaret Thatcher was in office. Had his views had changed with the times? I already knew that Terry’s starting assumption is that people of faith can’t check their beliefs at the door when they enter the public square. No matter where they work or what they do, Christians can’t–and shouldn’t–stop thinking like Christians, including the political arena. He uses the word “integrity” a lot, which he knows is a rare thing in the political scrum. With Terry, it’s not a matter of forming Christian political parties or assuming Christianity should somehow be favored in a diverse society, much less forcing nominally “Christian” policies on an unwilling or uninformed electorate. Instead, it’s a matter of individuals aiming to live out their faith–from examining their own motivations for being involved, to supporting particular policies, to treating other people as they would be treated, including their political opponents. So far, so good. 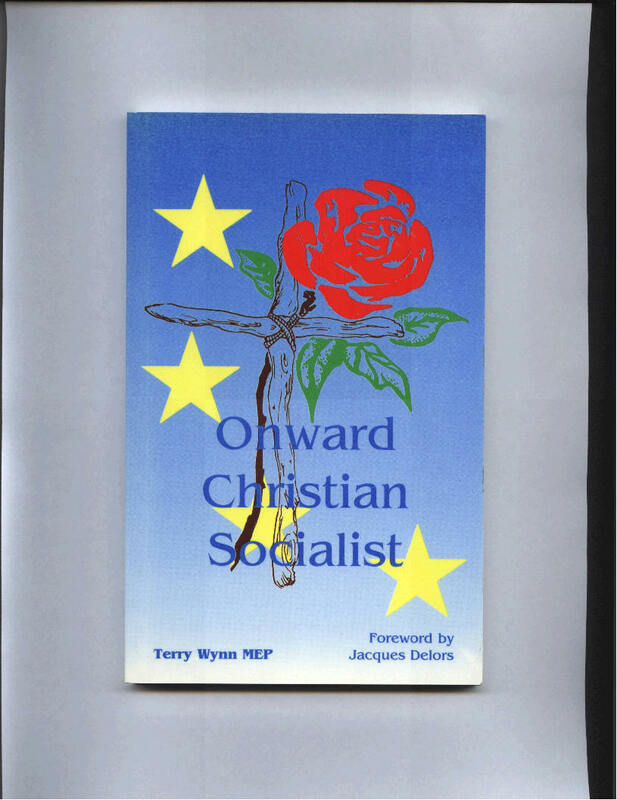 But consider this: When Terry wrote and self-published his first book about the relationship between faith and politics, he called it Onward Christian Socialist (1995). He wrote a follow-up book 11 years later, Where Are the Prophets? Terry knows that many Christians on both sides of the Atlantic–especially in the U.S.–will choke on the S-word: socialist. Can “Christian” and “socialist” co-exist? He thinks so. Strongly. He’s not alone. When the British Labour movement took root in the early 20th century, it grew fast and strong among working-class Christians in “nonconformist” churches, Baptists and Methodists and others. They were concerned about poor people who were stranded in a rigid economic and class system (often represented by the Church of England), about human dignity and human rights–and they found support in the Bible. Even as atheists and agnostics swelled the party’s ranks (many of them disenchanted with Communism) and sometimes dominated it, Labour retained its strong Christian base. 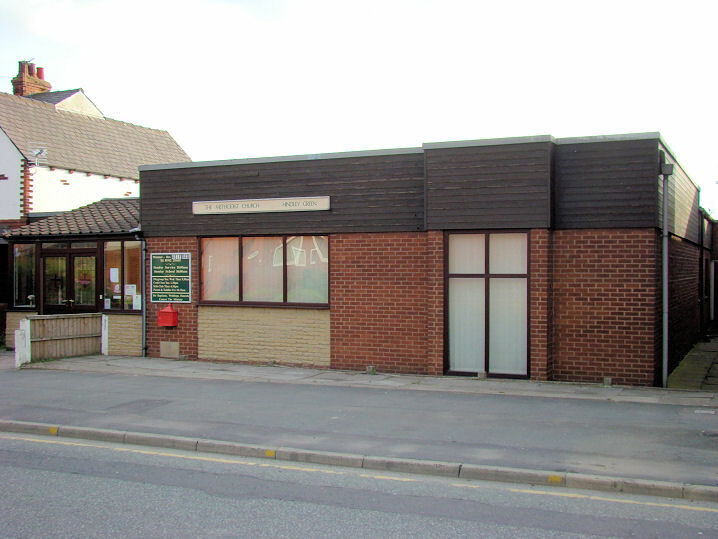 Yes, this is a church building: Hindley Green Methodist Church, near Wigan. Food for thought. Something to chew on. Maybe even fodder for discussion. More to come in Terry’s own words. Next post. The true disconnect that so called Christian “socialists” have is the fact that Christianity calls on us to help our fellow man. VOLUNTARILY. Socialism forces us to spread our good fortune. Herein lies the whole argument. Thanks for the great piece.